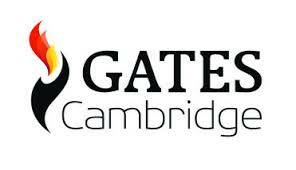 The Gates Cambridge Scholarships are one of the most prestigious international scholarships in the world. The Gates Cambridge Scholarship programme was established in October 2000 by a donation of US$210m from the Bill and Melinda Gates Foundation to the University of Cambridge; this is the largest ever single donation to a UK university. Academic development funding – from £500 to £1,500, dependent on the length of your course, to attend conferences and courses. Applicants apply on a single form for admission to a course and a College and for a Gates Cambridge Scholarship. Applicants apply for a Gates Cambridge Scholarship and admission to their chosen postgraduate course at the University of Cambridge and a Cambridge College via the Graduate Admissions Office, using the Graduate Application Form and supporting documents. It is not possible to apply for a Gates Cambridge Scholarship without applying to the University of Cambridge. You must apply for admission as a postgraduate student to the University of Cambridge and a Gates Cambridge Scholarship at the same time, using the one application pack. A research proposal, an example of your written work, a GRE/GMAT score, etc. Not all applicants will be required to submit such documents – you will find details of what you need to submit in the Graduate Studies Prospectus and department website. Deadlines for October 2017 entry: 12 October 2016 (US round) and 7 December 2016 (International round). Check which one applies to you. Key dates for each round for October 2017 entry are given below. Next articleSouth African Women in Science and Engineering (SAWISE) Scholarships 2016 for Female Students. i would like to apply for the bursary from the Gates foundation. i really need to further my studies and knowledge so that i can do more for my community and country at large as there are challenges and opportunity to contribute towards the growth and development of our country and its citizens at large. i will really appreciate your support and consideration as this will enable me to accomplish my long time plan and dreams. I take this opportunity to express my great appreciation to all the donors who make it possible, year in and year out, for needy student’s around the world to get funding for the course of their dreams. It is a self-less act which is not taken for granted. I would like to apply for a LLM masters degree in Human rights and Women law field in order to improve the lives of our our womenfolk in my home in Kenya. This is really a selfless act, and it deserves to be appreciated to the fullest, “kudos to the donors”. I will like to apply for Msc in computer science, so that the digital konwledge can be decoded properly to my people here in Nigeria, which will make thousands of youths to be self-employed. Please keep me posted if any one have any necessary information that is needed of me to know. Thanks. Hi, I’ll like to apply for LLM so as to enhance and promote the rule of law/ human Right in Nigeria . this is indeed a true service to humanity, we the Africans are really grateful to donors of this scholarship. May God continue to water them like the garden of Eden. Please keep me abreast with all the necessary information as regard to the scholarship. Thanks. hello i am more than grateful for this opportunities given to us. i pray the Almighty God continue to bless you all for your generosity and good hearts. i wish to do an LLM in environmental law, or international human rights law or human resource management. Please any vacancies for me? my email:[email protected] from Cameroon. Percy from Ghana, currently a degree holder. This is a real opportunity as it help enhance and also achieve our goals. Thanks for the good opportunity. I am William Jimmy from LIberia,currently I have a first degree in Economics.I will be too happy if you grant me that opportunity to study at that great institution in order to enhance my education Thanks for that great opportunity. Hello, I am Mbock Judith Elfrida Ngonchina from Cameroon, i have an ordinary level in Economics B grade. I will be very glad if you grant me that opportunity to study at that great institution inorder to enhance my education and i could help my community in one way or the other with the wonderful knowledge i will gain in your beautiful institution. i am pendo emmanuel from tanzania ,i have an ordinary level in diploma in development planning .i will be very grad if grant me that opportunity to study .